DIN Standards are invented for a variety of components including industrial fasteners as DIN 6921 Hex Flange Bolts. 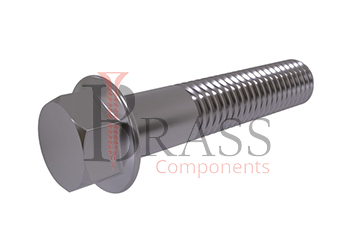 DIN 6921 Flange Bolts are manufactured from stainless austenitic steels of a2 grade and a4 (acid-resistant), also made of different materials including carbon steel, stainless steel and non-ferrous metals. DIN 6921 Bolts are available in a wide range of sizes, shapes and materials. DIN 6921 Bolts are available with a flat flange or a flange with locking teeth. Flange can be made with incisions or without incisions. Consist of a rod with full or incomplete metric thread and a hexagon head with a flange on the side of the rod. Complies with ISO 8102 International Standard, EN 1665, EN 14219. Strength Class 5.8, 8.8 and 10.9. The Bolt is installed in the mounting hole, where the nut is tightened from the reverse side. The presence of threads helps to prevent the bolts from loosening when exposed to vibration due to high frictional force between the flange and the attachment element. A smooth flange increases the area of the clamping surface of elements. Ensure the durability and strength of detachable threaded connections. Provide reliable protection against unscrewing operations. Used together with nuts and washers to connect and fasten parts and structures. Used for mounting, joining, fixing structural elements and equipment together with nuts of appropriate thread size. Capable of safely withstanding a great tightening force. Recommended to create detachable connections in engineering, construction, instrumentation and in other industries. 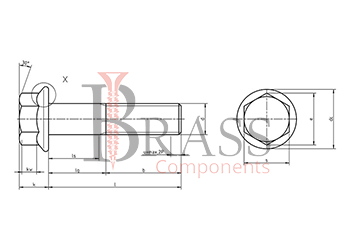 Used for assembly works of complex and simple mechanisms, structure, pipelines and sanitary devices. We manufacture DIN 6921 Bolts as per Custom Specification and export in Germany, Spain, Netherlands, Portugal, UK and other European Countries. For more Information, Please Contact Us or Inquiry Now.